Topics: Modules, Making Powerpoint Slides Accessible, Making Word Documents Accessible, Making Excel Documents Accessible, and Making Pdf Documents Accessible. Age: It went live on January 28th 2003, making it over 15 years, 2 months old. The site has about 187 users daily, viewing on average 1.40 pages each. sparktac.com Leadership Training Courses Toronto| Business Management Training .. The site is programmed for PHP/5.1.6. 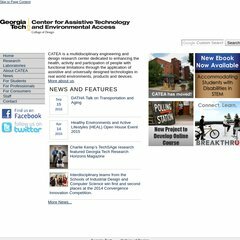 dns2.gatech.edu, dns3.gatech.edu, and dns1.gatech.edu are its DNS Nameservers.